Has the government started listening closely to the demands of the people or their own self interest? The Socio-Economic Right And Accountability Project called on state authorities to end the era of former state governors serving as federal ministers and lawmakers enjoying life pension and allowances simultaneously. The Lagos State Public Office Holder (Payment of Pension) Law provides lavish pension benefits to former governors and their deputies. 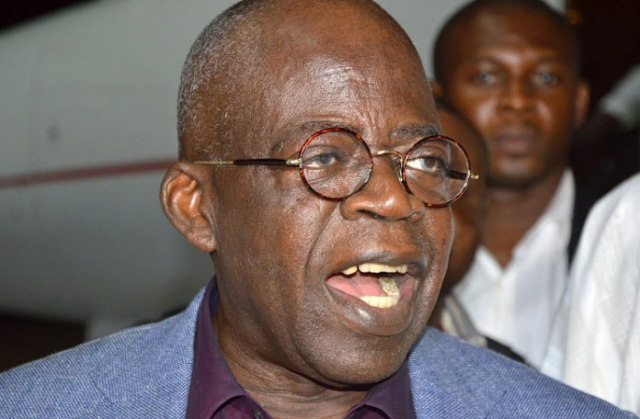 The Bill was signed into law by the former governor of the state, Bola Tinubu in 2003. The House has already commenced the process of amending the Bill. The new bill, which is titled- Public Office Holders (Payment of Pensions) Amendment Bill, 2016, has been read for first time and is awaiting second reading. The Bill, according to the Speaker of the Lagos State House of Assembly, Mudashiru Obasa is to save tax payers money while addressing the cost implication of governance. Key beneficiaries of the law are Bola Tinubu and Babatunde Fashola, who serves as Nigeria’s Power, Housing and Works Minister. Their deputies: Femi Pedro, Abiodun Ogunleye and Joke Adefulure are also beneficiaries. However, the amendment will, allow the Speaker and the Deputy Speaker to benefit in the pension scheme. Annual basic salary: 100 percent of annual basic salaries of the incumbent governor and deputy. Transport: Three cars, two back-up cars and one pilot car for the ex-governor, to be replaced every three years; two cars, one back-up car and one pilot car for the deputy, also to be replaced every three years. Furniture: 300 percent of annual basic salary every two years. House maintenance: 10 percent of annual basic salary. Domestic staff: Cook, steward, gardener and other domestic staff who shall be pensionable. Medical: Free medical treatment for ex-governor and deputy and members of their families. Security: Two SSS operatives, one female officer, eight policemen (four each for house and personal security) for the ex-governor; one SSS operative and two policemen (one each for house and personal security) for the deputy. Personal Assistant: 25 percent of annual basic salary. Car maintenance: 30 percent of annual basic salary. Entertainment: 10 percent of annual basic salary. Utility: 20 percent of annual basic salary.